I prefer when things turn out right the first time. As a recipe developer, little feels as good and complete as when a recipe I’m developing turns out just as delicious and lovely as I hoped it would, if not more so. There’s a sort of inner “click” that happens when ingredients, flavors and technique all come together and marry, and fall happily into place with ease and grace to create something harmonious and palette pleasing, perhaps even lovely to behold. It feels effortless and simple. But then there are those pesky recipes, those slightly more finicky baked goods, for instance—those certain cakes that turn out too dry, or those pies who’s crust are not tender enough, or those doughnuts that fry up a greasy mess, or those loaf breads that overflow in the oven—that require me to go back to the drawing board not once, or twice, or even three times… but sometimes seven times—yes, seven times. Talk about desperately needing my “passion for food” to kick in, in moments like that. I cannot tell you how very much I’d like to pull out my hair out when that happens—just ask my husband, he’ll tell you. 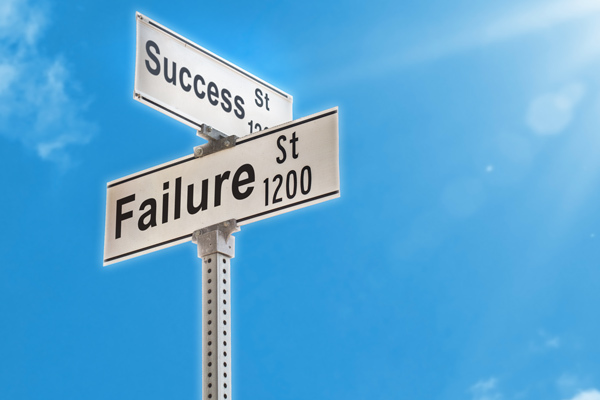 …failure is actually a very good sign. It’s a sign that one is actually in the game, making attempts, and taking chances. There are many times, especially with some of these baked goods, when I ask my precious hubby to try something I’ve prepared that I think, in my mind, is “pretty good”; but when he tries it, he knows it could be a little bit better, and dreads having to give me the news that perhaps I should have another go at the recipe, to make it just a bit moister, or fluffier, or more tender. In the moment that it is happening, failure can be dejecting. It can feel humiliating, feel exposing. It can feel like utter defeat. It causes me to doubt and question my abilities, causes me to wonder if I have the chops to make something any better, causes me to wonder if I have any solutions that could possibly make something work. But I’ll confess something to you: when I search my memory bank, search all of those times that either my husband had given me the “bad news” that I needed to go back and tinker with a recipe, or I myself had known right away that something definitely had not turned out as I had hoped, I find that I learned something valuable every single time that I could take with me into “next time”. I learned that I either do ultimately have the chops to solve the problem quickly, that I do have the creativity to see how something can be tweaked and made better when I just sit with it for a moment; or, that I am at least capable of staying the course with something and seeing it through to when it does finally come together, learning something new through the process, and gaining more experience. See, failure is actually a very good sign. It’s a sign that one is actually in the game, making attempts, and taking chances. It’s a sign that one is “moving and shaking”, and not just standing idle and off to the side, hands in pockets to keep them from getting dirty, merely observing and critiquing others. Failure’s a sign that one has decided to play an active role in one’s own life, and to try to create some meaning. And while it doesn’t feel all that good to experience failure as it’s happening, it is an opportunity to seek out new understanding, new approaches, new ways of thinking, new directions. It tells us a lot about ourselves, gives us the chance to see what we’re made of. Best of all, failure makes all those times when success is found taste all the more sweeter, all the richer and more rewarding. So I say let’s wear our failures like badges of honor; let’s talk about them, share them, dissect them. Let’s learn from them and be motivated to pick ourselves up afterwards and continue on in fresh ways. After all, if one never fails, then it begs the question: is one truly living? Such important thoughts, Ingrid. Failure is akin to vulnerability and openness, which is the theme we’re exploring this month in my faith community. Badges of honor indeed!!! Hi Roseanne, so glad! Yes, this is all part of life & part of our growth, so it’s best we learn to embrace & work with it, even if it’s a challenge to do so. Enjoy exploring those wonderful topics of vulnerability & openness in your community! Sending much love & many blessings…xoxo!